Jeffrey W. Nicholson earned his Ph.D. in Optical Sciences at The University of New Mexico (UNM) in 1997. Nicholson was a student of Dr. Wolfgang Rudolph, the current Department Chair and Regents’ Professor of Physics & Astronomat UNM. He gained his Bachelor of Science in Physics at the University of Houston in 1991. Currently Dr. Nicholson is a Distinguished Member of Technical Staff at OFS Laboratories, specializing in laser physics, optical fibers, and fiber lasers. OFS Telecommunications is a global designer, manufacturer and provider of optical fiber, fiber optic cable, FTTx, FTTH, optical connectivity and specialty photonics products. In 2017, Dr. Nicholson was elected as an OSA fellow. Victor L. Gamiz earned his Ph.D. in Physics & Optical Science at The University of New Mexico (UNM) in 1995, under the supervision of Sudhakar Prasad, who is a Professor and the Associate Chair for Graduate Affairs in Physics and Astronomy at UNM. He achieved a Master of Science in Physics at UNM in 1989, and a Bachelor of Science in Physics from California State Polytechnic University - Pomona in 1975. Currently, Dr. Gamiz is the Principal Investigator for the U.S. Air Force Research Laboratory (AFRL) and director of the Space Situational Awareness mission at AFRL/Space Vehicles in Albuquerque. 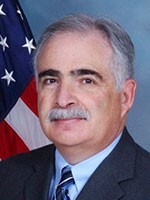 He is also an Assistant Adjunct Professor with the Air Force Institute of Technology. In 2017, Dr. Gamiz was elected as an OSA Fellow. Col. Russell Teehan earned his Ph.D. in Physics & Optical Science at The University of New Mexico (UNM) in 1999, under the supervision of Wolfgang Rudolph, who is a Professor and the Chair of the UNM Physics and Astronomy department at UNM. 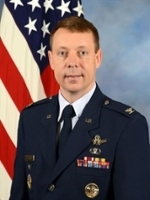 Currently, Col. Russell Teehan is the director of the Air Force Research Laboratory Space Vehicles Directorate and the commander of Phillips Research Site at Kirtland Air Force Base, N.M. He leads a team of 809 military, civilian and on-site contractors who comprise the nation's center of excellence for military space science and technology, research and development, as well as advanced technologies integration and demonstration. His organization manages an annual budget of $307 million, focused on enduring Air Force space missions: communications; position navigation and timing, missile warning, space situational awareness, and defensive counter space. Dr. Hoyt received his Ph.D. with distinction in optical science from the University of New Mexico in 2003 under the supervision of Dr. Mansoor Sheik-Bahae. His dissertation comprised some of the first observations of laser cooling in solids, for which he was awarded a $10,000 prize by the Optical Society of America and New Focus, Inc. He earned an award for outstanding laboratory mentorship of undergraduates in PURSUE, a NASA-funded program that encourages under-represented people in science. After completing his Ph.D., Chad won a post-doctoral fellowship from the National Research Council (part of the National Academies) to carry out research at the National Institute of Standards and Technology in Boulder, CO. Together with his team, he performed groundbreaking experiments on a new optical atomic clock based on laser-cooled and -trapped ytterbium atoms. His research interests include atomic, molecular and optical (AMO) physics, and this work is carried out in Bethel's new AMO lab with undergraduate physics and engineering majors. Dr. Hoyt has helped develop and lead advanced lab-based courses in Optics and Lasers. Open-ended student projects in these courses have included nonlinear optics (Z-scan measurements and frequency doubling), atomic and molecular spectroscopy, laser cooling and trapping, building HeNe lasers, holographic and interferometric measurements, and precision measurements with physical optics. He has recently worked with talented Bethel students to cool and trap lithium atoms in a magneto-optical trap (MOT). 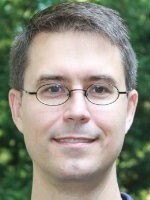 Dr. Hoyt has been or currently is a reviewer for 6 different international physics journals and for National Science Foundation grant proposals. He already is a 2-time recipient of Bethel's prestigious Edgren Scholar award. Dr. Hoyt currently has a 2012 NSF EIR grant: Fiber Laser Frequency Combs for the Advanced Lab, funded for $230,000. Dr. Ganesh Balakrishnan earned his Ph.D. in Physics & Optical Science at The University of New Mexico (UNM) in 2003, under the supervision of Kevin Malloy, who was the Vice President of Research and Economic Development at UNM. 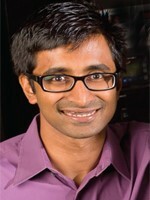 Currently, Dr. Balakrishnan is an Associate Professor and Associate Chair for the Department of Electrical and Computer Engineering at UNM. Dr. Balakrishnan’s primary research focus for the past decade has been the growth and characterization of highly mismatched III-Sb compound semiconductors on GaAs and Silicon substrates. The specific contribution made by Dr. Balakrishnan to this area of research is the novel use of interfacial misfit dislocation arrays in enabling low defect-density, bufferless, monolithic integration of III-Sb on GaAs and Silicon substrates for increased antimonide device functionality on mature platforms. His body of work using molecular beam epitaxy has resulted in over 60 peer-reviewed publications, 30 conference presentations and several patents. Dr. Denis Seletskiy earned his Ph.D. in Physics & Optical Science at The University of New Mexico (UNM) in 2010, under the supervision of Mansoor Sheik-Bahae, Professor and OSE General Chair at UNM. 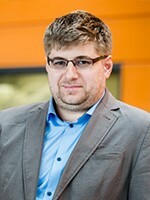 Currently, Dr. Seletskiy is an Assistant Professor at the Department of Engineering Physics at Polytechnique Montréal. The primary aim of his research is to develop novel photonics tools and apply them to study quantumness of interacting light and matter toward real world high-technology applications. His other research interests include laser cooling of solids, nonlinear optics, nanophotonics and the development of new tools for optical precision metrology. Dr. Zeringue received his Ph.D. with distinction in Optical Science and Engineering from the University of New Mexico in 2011 under the supervision of Dr. Iyad Dajani. His dissertation focused on theoretical and experimental investigations of Stimulated Brillouin Scattering (SBS) mitigation techniques in fiber amplifiers. Dr. Zeringue was awarded two U.S. patents (US 7,764,720 B1, US 8.462.426 B1) based on his SBS suppression techniques, which led to unprecedented output powers in single-frequency Yb-doped fiber amplifiers. He worked as a Laser Research Physicist for the Air Force Research Laboratory (AFRL) where he earned multiple awards including: Scientist of the Quarter and Best Poster Presentation by the USAF Scientific Advisory Board (SAB) for two consecutive years. Dr. Zeringue developed an in-house laser modeling software package which was published in an AFRL success story and was an invited topic at Wolfram Mathematica’s annual international summer program. He earned a postdoctoral fellowship in the Radiation Physics department at the University of Texas MD Anderson Cancer Center, where he developed fiber-optic based sensor technology to monitor radiation dose during cancer treatments. Dr. Zeringue is currently the founder and principal investigator of ZModDynamics LLC, a startup based in Houston, TX specializing in Optical and Computer Science R&D services. 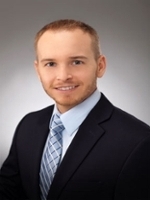 His current research activities include: nonlinear optical phenomenon associated with high power fiber lasers and fiber-optic based sensor technology for in-vivo radiation dose monitoring. Dr. Zeringue serves as a consultant for Radiadyne LLC, a leading medical device company specializing in providing technology for personalized radiation treatment. He is the lead engineer and architect of the OARtracPlus Real-Time Dose Monitoring System, a commercially available medical device which provides gold standard accuracy, real-time pinpoint measurement, and dedicated intracavitary delivery devices to measure physical dose during radiation treatment.Dr. Zeringue is also a member of Phi Kappa Phi (National Honor Society) and Tau-Beta Phi (Engineering Honor Society).